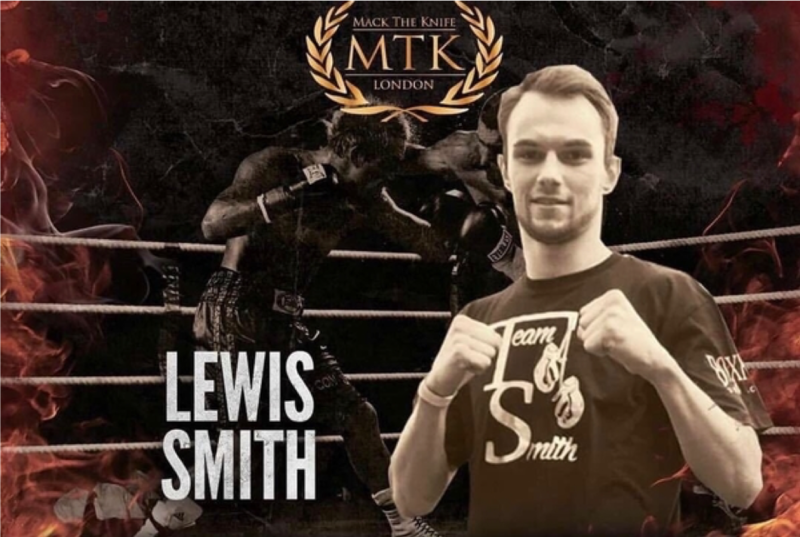 This week we caught up with the highly talented boxer Lewis Smith and he gave us an open and heartfelt interview about his life in boxing. What age did you first get into boxing and what was the main reason? What boxers did you look up to when growing up? What did your family think about you taking up boxing? “When I first mentioned that I wanted to take up boxing they did have some concerns, but my family are very supportive and we are all very close, and if it made me happy it made them happy too. They all knew it was something that I liked to do and supported me regardless”. What influence did your granddad have in your life and boxing journey? What was it like putting on the gloves for your first professional fight? How did you find fitting professional boxing in with work and family life? “This was one of the hardest parts of professional boxing for me. It was very hard to get a work/social life/boxing balance as the amount of training I put myself through meant that I often was tired from the brutality of the sport and aside from training I had to fit in my job, which isn’t easy after rounds of sparing and a couple of intense hours in the gym! The life of a boxer does also take its toll on both you and your family. I haven’t yet had children so can’t imagine how it must be with dependents, but I have always tried to make time for my family which isn’t easy when you can be exhausted, grumpy and hungry from dieting and training so it does take its toll on everyone! Luckily for me my family are so supportive and they could see past the exhaustion and knew I was putting myself through those feelings and emotions because of my love for the sport. How hard was it funding being a professional in terms of getting sponsorship or paying out of your own pocket? 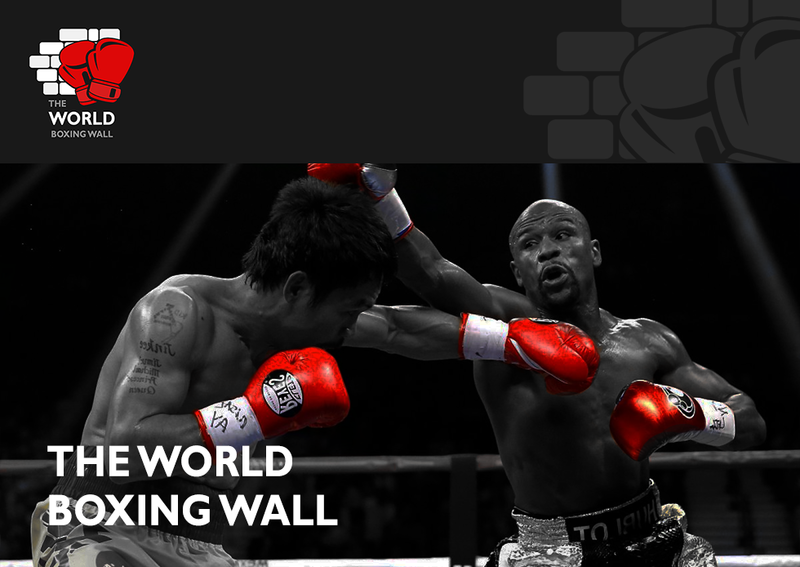 “Being a professional boxer isn’t easy that’s for sure and gaining sponsorship can be just as difficult! I was extremely lucky to gain and be supported by all of my sponsors. They really were a godsend for me to have. They really allowed me to relax a bit more so I could be fully focused on the job and bring in the win! Finding sponsors is only as hard as you make it but I was very fortunate as I had a gentleman Jordan Foster at Portobello PR join the team to help me target an audience who would back me. Jordan went above and beyond especially as he got the support from the football club that I support (Charlton Athletic) both players and fans. Many Charlton fans backed me and pitched together to contribute towards my camps which was unbelievable and overwhelming. I was very lucky the majority of the training camp money wasn’t coming out of my own pocket as my sponsors helped me all the way through camp and I can honestly not thank them enough. Without sponsors, boxers wouldn’t be able to do what they do week in week out”. Talk to me about Alec Wilkey and his stable and gym? “Where do I start with Alec Wilkey? This man has turned me from a boy into a man. Honestly! I first met Alec when one of my friends Richie Gray invited me to come train with the pros and hearing that as an amateur was great! I was so buzzing because it wasn’t long ago I was watching Alec in the ring with Danny Connor at the O2 fighting Ricky Boylan, so that was amazing in itself. I trained with Alec every day for around 6/7 months and I remember telling him I wanted to turn pro one day and he told me that in this game you need balls, you need to be trainable and that it isn’t an easy career. He explained how hard it was and got me in the ring sparring Idris Hill and Emran Hussain, who both beat me up easily. I was slow and hesitant and I sparred awful. I remember getting out and him telling me that I wasn’t ready and had a lot to work on but one thing I do have is balls ‘kid’. From that moment on it stuck with me what he said and so I grafted away for 6 months using all the things I was being taught to the best of my ability. It clearly showed me that hard work pays off as I was sparring Emran Hussain before his debut and straight after Alec asked me if I wanted to turn pro. It was one of the proudest moments of my life because it was my hardest challenge and to be given that chance was amazing and just goes to show that there still are coaches out there who care about their fighters. Was it hard calling time on your career so early on? “Calling time on my career was a hard decision as it is for most boys that hang the gloves up, especially early in their career. For anyone who saw my second fight could see I didn’t box my best and that I just wanted a war if I’m being honest. I fought with such emotion and I just scrapped the win and it was worth it. I still miss the game big time and performing in front of my friends and family and the support was mental and I’ll always miss it”. Why did you decide to quit boxing? “The main reason I quit boxing was because my grandad sadly passed away 2 and half weeks before my second professional fight with Josh Thorne at the Brentwood Centre. He had suffered a stroke few years earlier and many people didn’t know for a while that he had passed as I kept it quiet as I didn’t want it to overshadow my fight. All I wanted to do was get in the ring and relieve my anger and emotions. The funeral was held 3 days after I boxed so there was a lot of emotion involved. This is the first time outside of my love ones and my team that I’ve spoken to about my decision to retire and it was massively impacted by the loss. I was no longer living the dream that we both used to talk about together and I always imagined living that particular career with him. My mindset changed in the sport and I was no longer boxing for a profession but instead to take my anger and frustration out. It’s a real shame as it was hard for me to accept mentally and it did affect me massively. I started to go out a lot partying and drinking to drown the sorrows and I let it change my mindset. With that in mind, I knew it wasn’t clever to stay in the sport and so for that reason I retired as I didn’t want to stay in this sport for the wrong reasons. Sometimes it shows the real fight in a person to give up something they love rather than carry it on for the wrong reasons. A lot of boxers don’t get the chance to walk away from the sport as sometimes it is snatched away from them and that’s not how I wanted it to be, so I made the decision myself”. What has life got in store for you after retiring? Could a career in coaching be an option? “I do still love the sport but I’m not sure I could dedicate myself to being a full-time trainer. I don’t have the same mindset that I did before which sounds selfish, but I’m just being honest. I’m happy with what I achieved while it may not be too much, but it was a dream and I loved every moment of it regardless of the ups and the downs. I think my involvement in boxing isn’t fully over as I am still sparring local lads and boys down at Wilkey HQ when they need a helping hand (or shall I say helping face!) but I see my future in the sport sponsoring an athlete or maybe athletes that I believe in and help and support them with the financial difficulties that can occur for the fight camps as that’s is truly hardest part in this game. But I would definitely wish to be a part of a boxers journey and help them achieve the same dreams that I had from when I was young”. “As well as work I also still make time to go to watch Charlton Athletic (as painful as it is at times!). I also still love a lot of other sports such as American football and basketball and love to spend a lot of time with my family. When you’re a fighter it’s hard to enjoy life at times, so I’m just happy doing what I’m doing now and living my life. Thank you to all these great sponsors and to Charlton Athletic including some of the players that supported me, and the supporters of the club putting their hands in their own pockets to give me the help that I needed. You guys were truly unreal”. “A few other names that deserve a mention are my PR guy Jordan Foster who I built a great relationship as he was a big part in my career. Also my boss Rob Ward for keeping me in my job during my career and putting up with me. My mum, Dad and family for just being incredible. Not forgetting the main person who made me believe in my dream, my grandad. The man was an absolute hero to me and the last fight I ever had was dedicated to him knowing that he was watching down on me”.